If you are struggling with a number of credit card debts, payday loans, or other debts, one choice you may be considering is debt consolidation. Making this move allows you to pay off your loans more quickly, reduce your monthly payments, or both. But you may also wonder how debt consolidation can affect your credit score. After all, the last thing you want is to add additional damaging items to your credit report. The truth is that the method of debt consolidation that you choose has a lot to do with what impact it will have on your credit score. We’ll explore the various options you have and how they affect your credit score. We’ll start by looking at how debt consolidation works. How debt consolidation typically works is that one loan, service, or credit card will pay off multiple loans, whether payday loans, installment loans, or credit cards. Rather than making payments to many creditors in the average month, you’ll instead make one payment to the debt consolidation organization. Debt consolidation is known for offering you a lower interest rate, reducing your monthly payments, and even shortening the time it takes to settle your debt. There are a few different options for consolidation, which we’ll look at. With an installment loan, you will be able to consolidate many types of debt, including payday loans, medical bills, and credit cards. These loans will have a particular payoff date and allow you to make monthly or biweekly payments. With an installment loan, you may be able to lower your interest rate and/or reduce your monthly payments so paying things off is a bit easier. 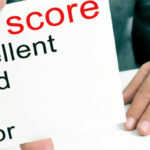 When it comes to credit score impact, any new credit is going to pop up as a hard inquiry on your credit report. This may have a small negative impact on your score, but it’s often negligible. Then, if you use the money from that loan to pay off your debts, that will cause your credit score to go up as utilization is improved. However, be aware that this will only improve if you leave credit cards open after paying them down. When you close them, you will have a reduced credit limit, overall. This can actually bring down your credit score even more. However, continuing to make on-time payments to your debt consolidation loan will improve your score with payment history, one of the most important factors for your credit score. One way to consolidate debt, provided it is only credit card debt, is by transferring your current credit card balances to a single card. This is best accomplished using a new card with a low-interest rate, with the goal of paying the balance before the introductory period ends and the interest rate jumps. Getting a new card will initially cause a small decline in your credit score, because of the hard inquiry. It can also cause a reduction due to changes in your credit utilization ratio. Having all of the balances in one place may drive your ratio higher which does drop your score. However, making timely payments will improve your credit score over time. A debt management plan, or DMP, is offered by a credit counseling agency as part of a plan that will include education about personal finance. 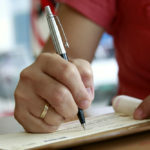 Rather than giving you a new loan, the company will negotiate with your creditors for you. You will then make a single payment to the agency, who will ensure your creditors are paid. In many cases, you may be required to close accounts to avoid getting involved in any new debt. As far as credit scores go, enrolling in a DMP will lead to a “DMP” notation on your credit report. However, this isn’t a bad thing. If you pay the agency on time and they pay your creditors, there will be no impact on your credit score, bad, good, or otherwise. However, closing accounts can affect your score, but this can be improved as you pay on time. 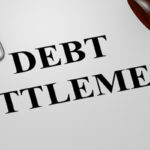 A debt settlement program is offered by lawyers and certain specialized firms and intends to reduce the amount that you owe. When you sign up for this type of settlement program, you will stop making payments on your debts and instead make payments into an escrow account that the lawyer or firm set up for you. Once you have built up a certain amount, the firm will get in contact with your creditors and offer to make a payment to get rid of the debt. This amount of money offered is less than what is actually owed. 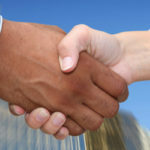 However, there is no guarantee that a settlement negotiation will go your way. A debt settlement program has an impact on your credit score due to the potential missed payments while negotiating the debt. After the debt is settled, this will also show up on your credit report and is negative. The reason for that is it shows you did not pay the entire amount that you owed, which lenders prefer not to see. To sum it all up, a debt consolidation loan may cause a minor short-term drop due to a hard inquiry, but it will provide a boost from on-time payments and another potential boost from improved credit utilization ratio. A credit card balance transfer may give you a boost from on-time payments but will also have a short-term drop due to a hard inquiry, as well as a worsened credit utilization ratio. Debt management plans can boost your credit from on-time payments, but closed accounts can minorly drop it. A debt settlement program can cause a lower credit score due to both settling, rather than paying the entire amount, and by missing payments while things are in the works. If you are experiencing difficulty paying back your payday loans, never fear. There are options that can help. Consider speaking with the people at RealPDLHelp.com. They can offer you assistance and provide a free consultation.